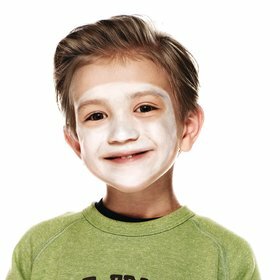 Use a sponge and cover the face with white paint, covering only half of the forehead area. 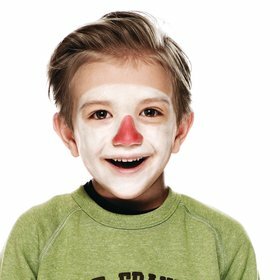 With a brush or sponge, use orange face paint to cover the nose. 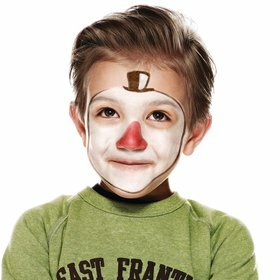 Using a fine-tipped brush and black face paint, paint a thin line around the left side of the face. Then, draw a tiny top hat at the centre of the forehead. Use white paint and a fine brush to add detailing to the top hat.